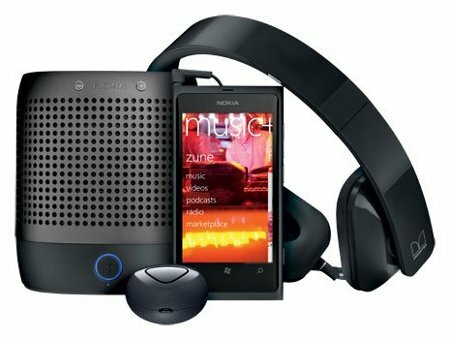 Just what does the Nokia Lumia 800 Entertainment Bundle offer right out of the box? Well, you will get the best Nokia Lumia smartphone to date with the acclaimed Lumia 800 smartphone, and your ears will definitely enjoy the audio cues pumped out by the Nokia Purity HD Stereo Headset by Monster. Want to go hands-free whenever you drive or are occupied in the kitchen? The Nokia Luna Bluetooth Headset will step in to fulfil the need here, and if you want to share your favorite tunes with your friends as well as strangers around, the Nokia Play 360° speaker would come in handy. It is interesting to note that the special-edition bundle will arrive unlocked, sans a contract for $899, and you are able to choose from two color-coordinated collections – one that will feature just sleek black, while the other includes a white Play 360° speaker, whereas the remaining devices come in a vibrant magenta.